Cassius played jazz but nobody would pay him to play. In all the world he possessed only a nearly broken white piano jammed into a rat hole apartment on Tuxedo St. and 3rd Ave with a creaky bed and a weak stove that only held one pot. One day a bent, sagging man came knocking on Cassius’ door and said Cassius needed to pay or he wouldn’t have heat and Cassius said he didn’t have enough money for rent and heat both so the man slumped away and Cassius didn’t have any more heat. Cassius had to get warm somehow so he banged away on his nearly broken white piano to keep his body moving. In fact, Cassius played so much that he got better than anybody had ever seen. He started getting booked on all the main stages of Detroit and he got all sorts of famous and made all sorts of money then spent all his money on a big fine house and left his nearly broken white piano behind. Not a month later when Cassius was away on tour — crossing the country playing howling shows from Miami to L.A. — some mean folks broke into Cassius’ big fine house and stole everything he had. The next day, the insurance lady showed up to confirm the damages and she was sharp and beautiful and kind — not like any of the groupies Cassius had met on tour — and he knew that she was the one. So, with a little flirty talk and some dinners filled with passionate conversation and laughter they found out that they really were meant for each other and she became Cassius’ girlfriend then his wife and after not too long they had two little boys scampering around their house. As it goes, one evening Cassius woke up in his basement recording studio to choking plumes of smoke. He sprinted upstairs to a living room filled with a roaring veil of fire and tried to get upstairs to where his family was sleeping but he passed out on the way. Cassius woke up in a howling ambulance where people with gray faces told him it had been an electrical fire and his family was gone. Cassius spent the next week in the hospital trying not to cry and failing. After a respectful mourning period Cassius tried to get back to playing concerts but it was never the same and the people stopped listening and the money dried up. Ten years later, in all the world Cassius possessed only a nearly-broken white piano jammed into a rat hole apartment on Tuxedo St. and 3rd Ave with a creaky bed and a weak stove that only held one pot. It was amidst a frosted November dusk with his breath puffing over the keys that Cassius finally allowed himself to truly let go of his departed family. The thoughts were so brittle and crushing and sweet that something shocked back into him, a part of his soul he didn't even know he'd lost. As sobs shook his sides the heartbreaking melody sprung into his mind and the words tore out of him with all the hurt dripping off and he wrote the most beautiful song in the world. The next morning Cassius took his one song to an old recording friend still in the business and that man said it was the most beautiful thing he’d ever heard and it turned out everyone else in the whole world thought so too. With solid takes on New American cuisine, this is a heck of a nightspot. And though the food is tasty, it’s certainly not the main attraction. While the décor and drinks are classy, the prices are reasonable as heck. Hit it up at happy hour? You’re looking at $3 drafts, $.50 (yes, fifty cent) PBRs, and half-off cocktails. Dinner gets a little more real, moving up into the ~$20-plus range, but the food fits the bill. You will feel transported to a Detroit that was in its prime. When Jazz was on the radio and cars were leaving the factories in droves. 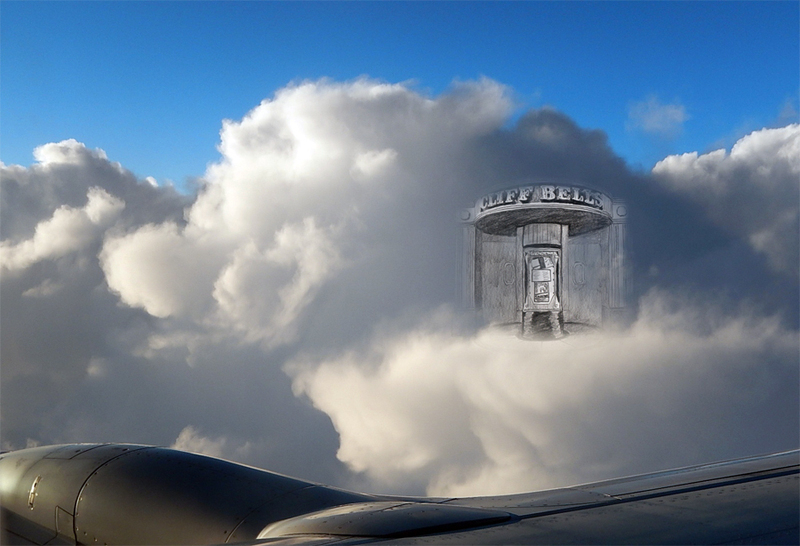 This is the real reason to visit Cliff Bell’s. The music acts, accompanied by the impeccable décor, make you feel like a metropolitan boss. Plus, the monthly Moth night is so packed they don’t even sell tickets any more, you just have to find a seat. Fantastic. White shirts. Vests. Doin’ it. Cliff Bell’s is what everyone wishes downtown Detroit still was. Sure, there are a lot of other notable places downtown, but this is most likely one of the coolest. If you’re in Detroit and want a feel of something essentially “Detroit” this is your spot.